WASHINGTON (April 13, 2018) – (RealEstateRama) — The National Association of Realtors® has been helping shape the real estate industry for more than 100 years, and today revealed a modern new visual identity to make its iconic brand and mark more multi-dimensional, dynamic and future-focused. 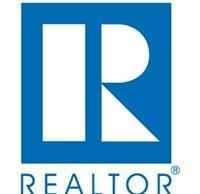 The new brand, redesigned for the first time in 45 years, leverages many of the familiar attributes and visual elements of the trusted Realtor® mark, including the very recognizable blue color palette, but moves the logo from a flat two dimensional image to 3-D, adding further depth, dimension and elevation to the brand. The original “block R” logo was first adopted in 1973, when the association changed its name from the National Association of Real Estate Boards to the National Association of Realtors®. The membership mark is recognized globally, and identifies a real estate professional who is a member of the association and subscribes to its strict code of ethics. Not all real estate agents are Realtors®, and only those who join the association can call themselves a Realtor® and use the membership mark. The newly evolved mark and logo, referred to as a “new dimension,” has a contemporary 3-D cube holding a slightly redrawn but still very recognizable “R” letterform and a simple and bold san-serif typography for the association name. NAR worked with Conran Design Group, a global branding and design firm headquartered in New York and London, where it originated over 60 years ago, to evolve the association’s brand identity and mark; Conran has worked with numerous other recognizable brands, including Coca-Cola, P&G, Pfizer, Nestle, Rolls-Royce and Shell. During the nearly yearlong rebranding process, Conran conducted extensive research and focus groups of consumers and Realtors®. In early June, NAR will begin the brand transition process across its communications, as well as implement the external brand roll out to its more than 1,200 affiliated local and state associations of Realtors® and its 1.3 million members.